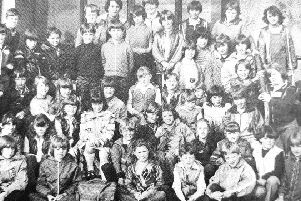 This picture shows the 3rd Kirkcaldy (KHS) Guides pictured in May 1984. In the middle Carole Lister is being being presented with her Queens Guide Award by Jean Napier. Anybody recognise any of the faces?